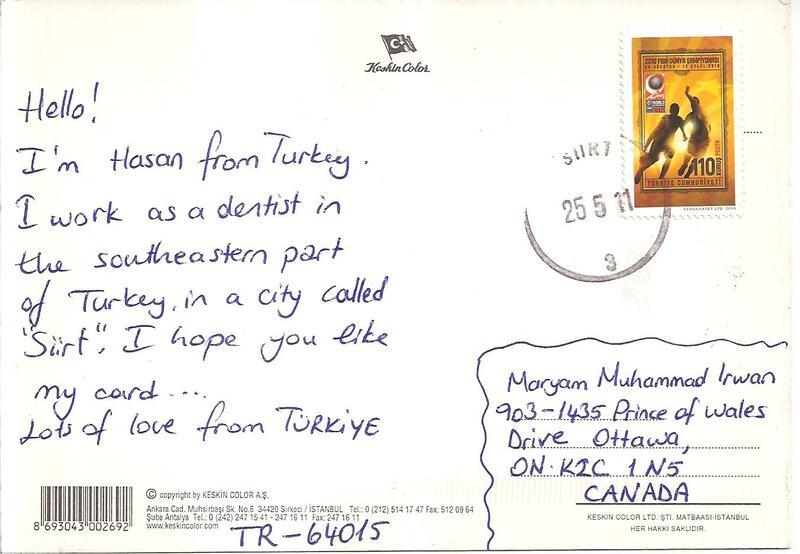 My first postcard from Turkey! Received through postcrossing, with postmark date May 25th, 2011. 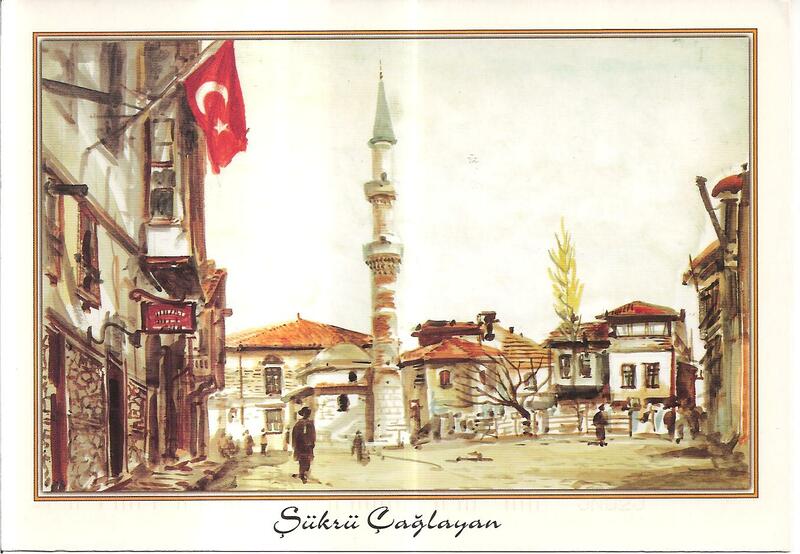 It’s a lovely painting of a town in Turkey. I think at the center is a minaret of a mosque. My first cover from Taiwan! It’s from James Chen. 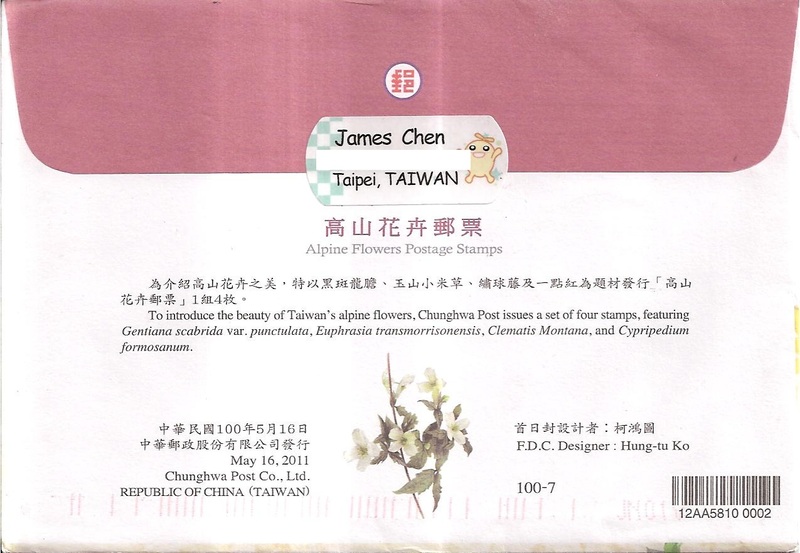 The cover is about Alpine flowers, and James used all four stamps issued by Chunghwa Post under the same theme. The flowers are all beautiful. The postmark date is May 23rd, 2011. This is the back of the cover. My first postcard from Poland through postcrossing. It’s from Emilia. 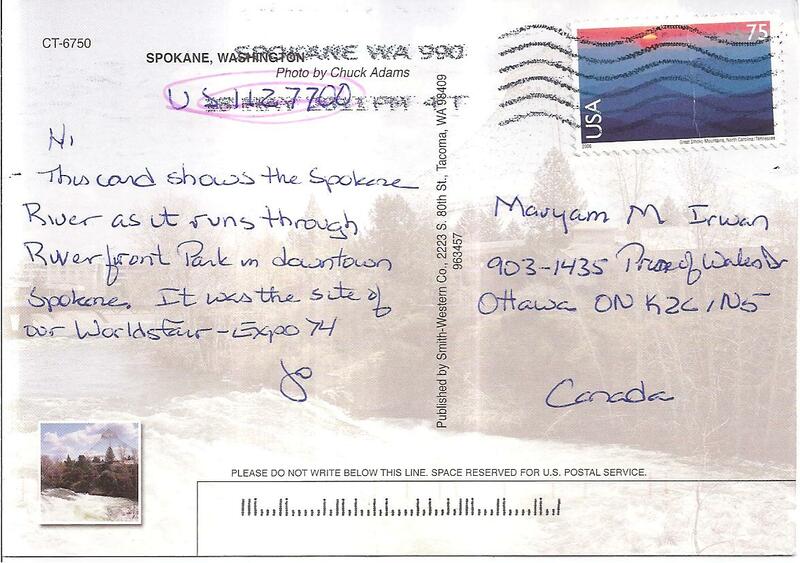 The postcard shows a picture of a castle on top of a mountain. The castle shown is Zamek Dunajec (or known as Niedzica Castle in English I think!) in Niedzica, Poland. It was built in between 1320 to 1326. 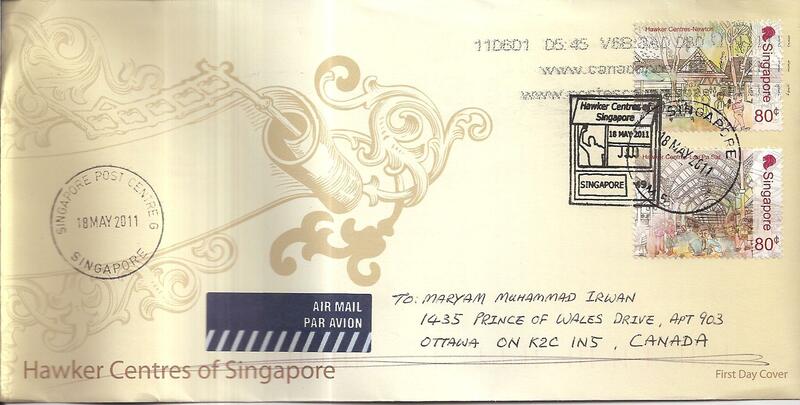 The postmark date is May 23rd, 2011 – same postmark date with the postcard in entry #29 from Netherlands! 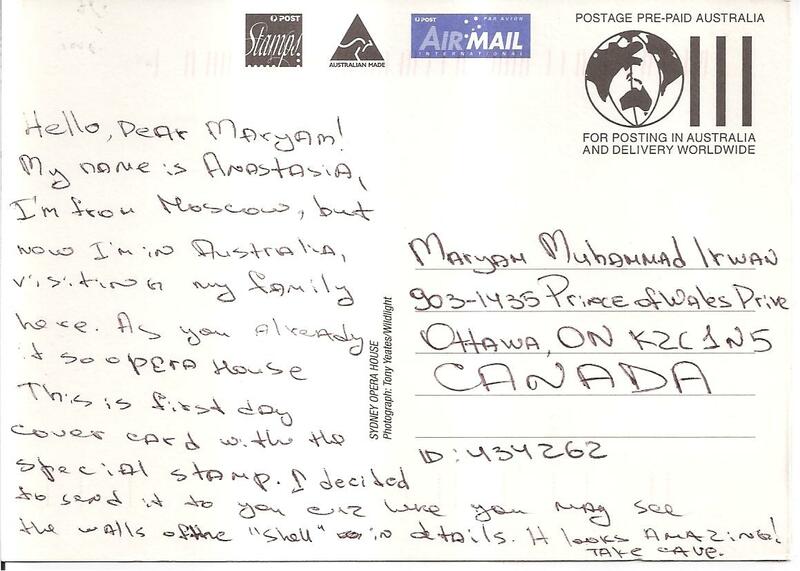 I had to register this postcard while I was on vacation since it was sent to my address in Canada. Thank you Emilia! A postcard from Netherlands received through postcrossing! 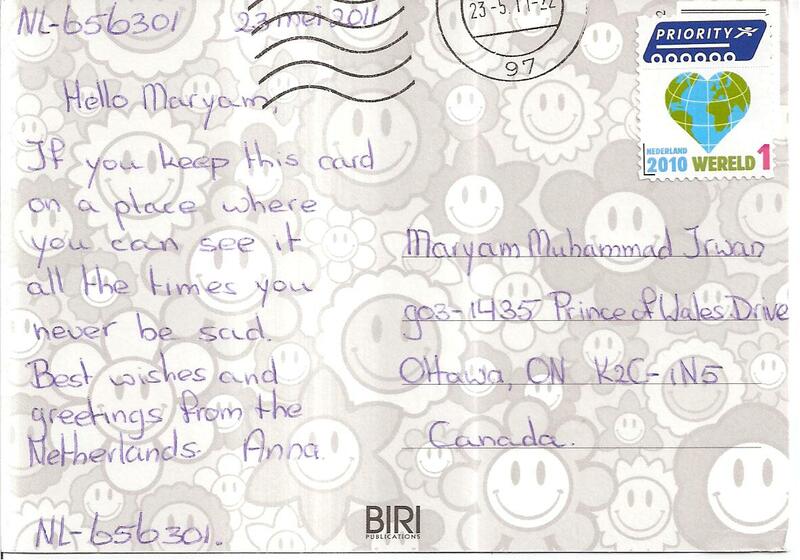 The sender, Anna, sent me a message while I was on vacation informing me that she had sent a postcard to my address in Canada. So I just registered the postcard ID so that she can send more postcards. 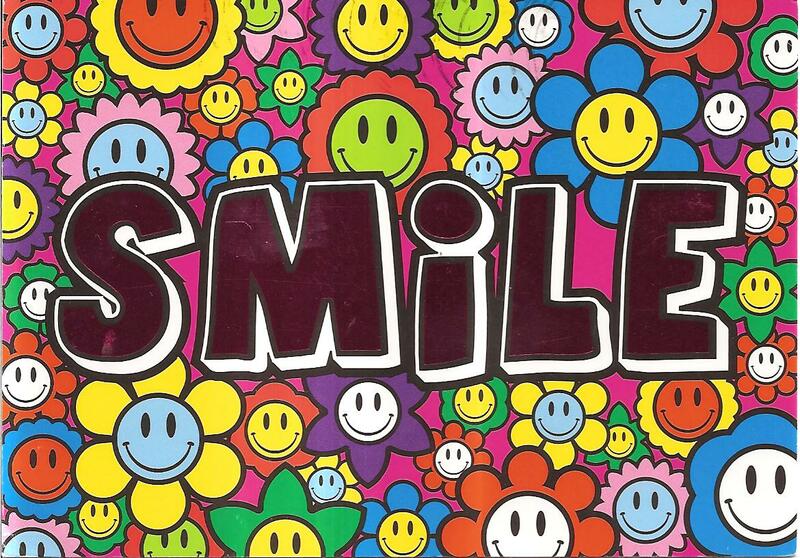 It’s a colorful postcard with the word ‘SMILE’ written on it. The postmark date is May 25th, 2011. Anna wrote such a simple yet beautiful message on the card. Thank you Anna! 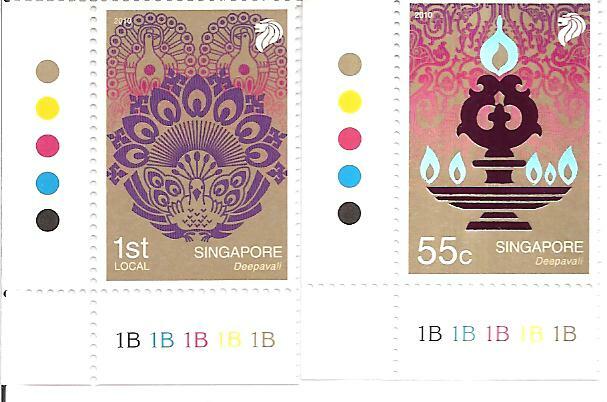 My second cover from Singapore. 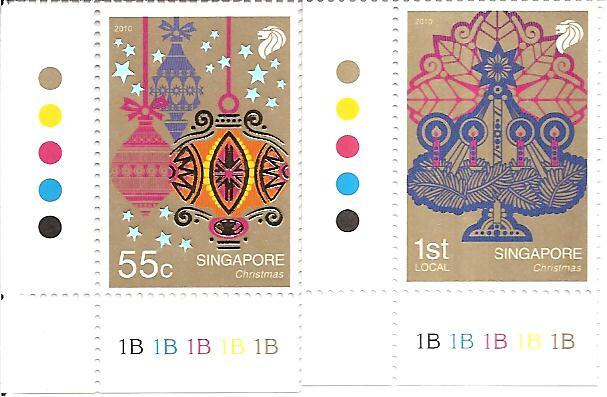 Both first and second covers from Singapore that I received have the same postmark date; May 18th, 2011. What a coincidence! 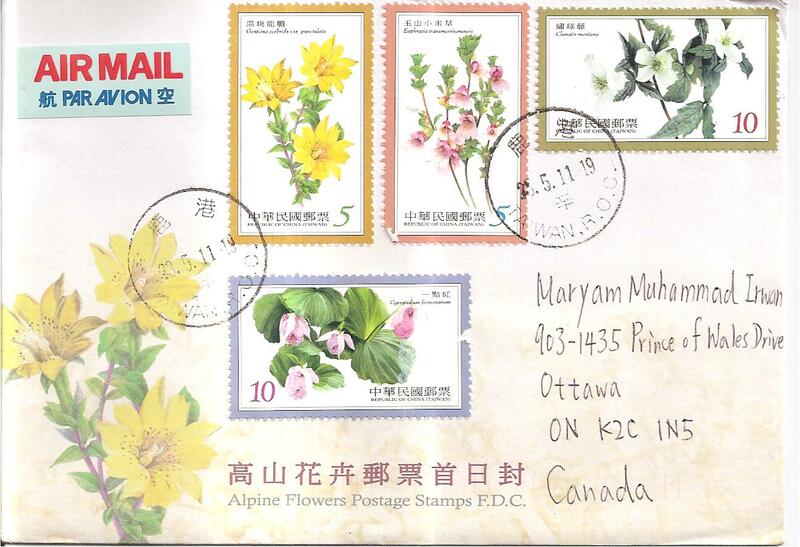 This time it is an FDC sent by Terence Wong. The FDC is about Hawker Centres of Singapore. 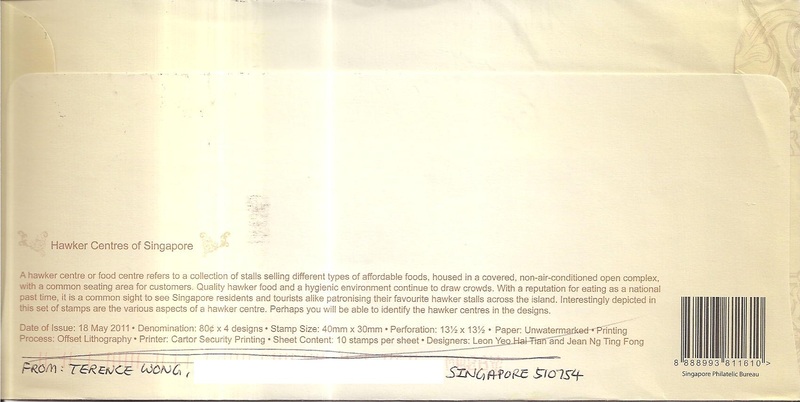 This is the information about Hawker Centres of Singapore at the back of the cover. My first cover from Singapore! It’s from Edmund Ong. 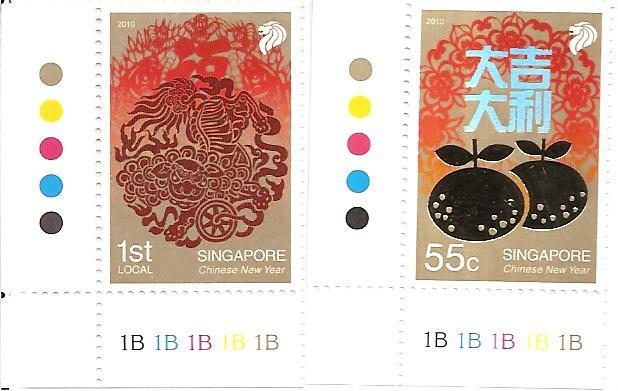 On the cover is the stamp to commemorate the Year of the Rabbit. The postmark date is May 18th, 2011. 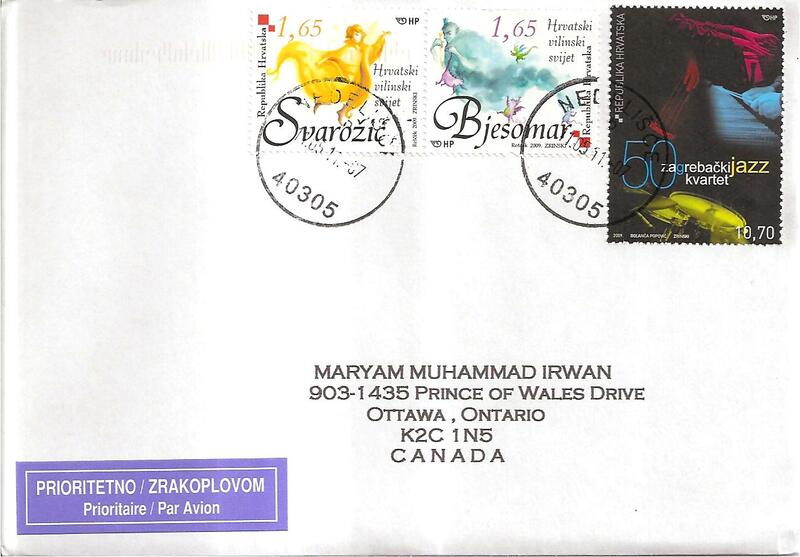 My first cover from Croatia was sent by Tomislav Dolar. 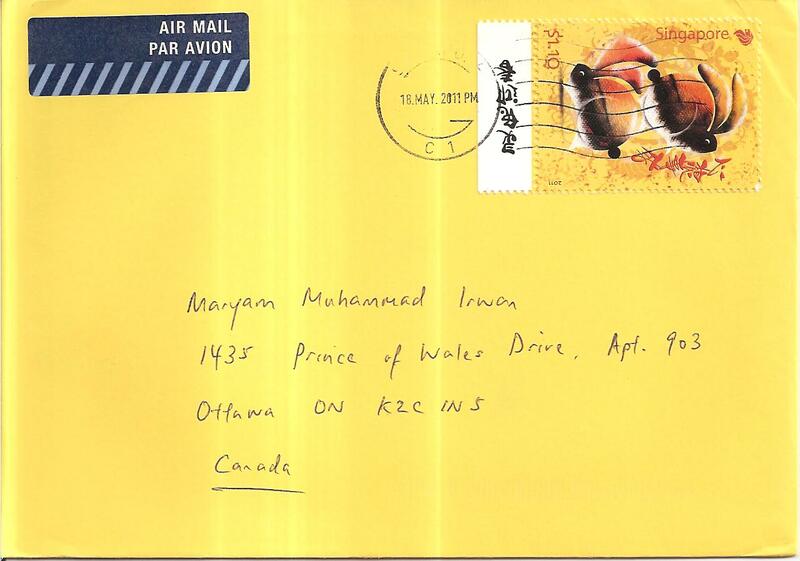 I found his blog while surfing on the internet, and decided to sent him a cover from Canada. Another cover from my dear Italian friend, Giovanni Colombo. 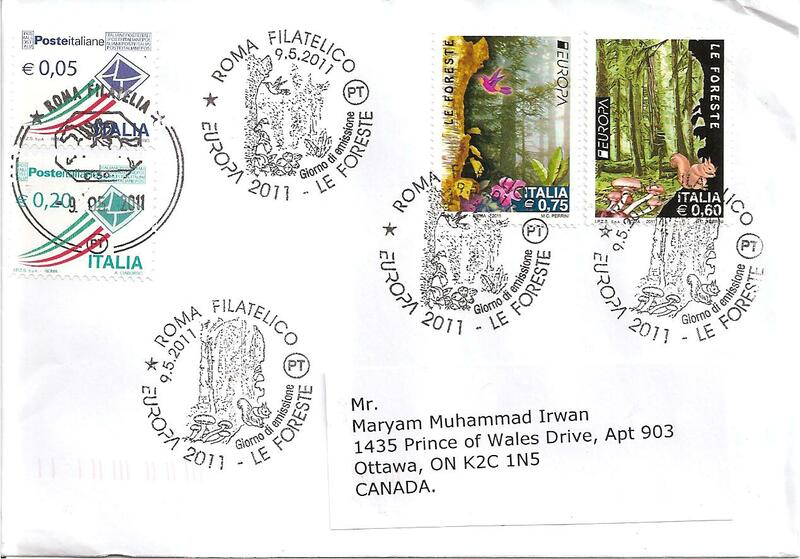 The two stamps used are about the beautiful forest of Europe, and the postmark date is May 9th, 2011. Thank you Giovanni! This is the second maxi-card received, and it is from Australia as well! (The first maximum card that I received was also from Australia). 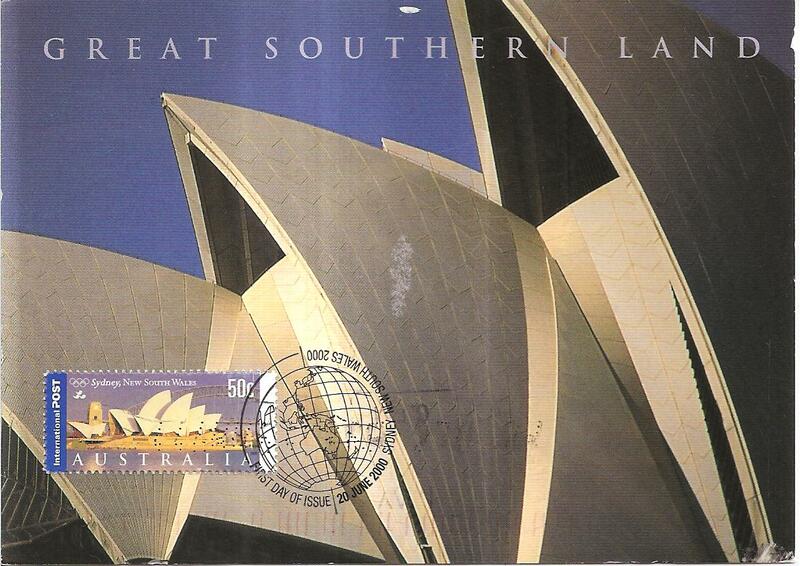 The card shows a detailed picture of the roofs (or better know as ‘shells’) of the famous Sydney Opera House. 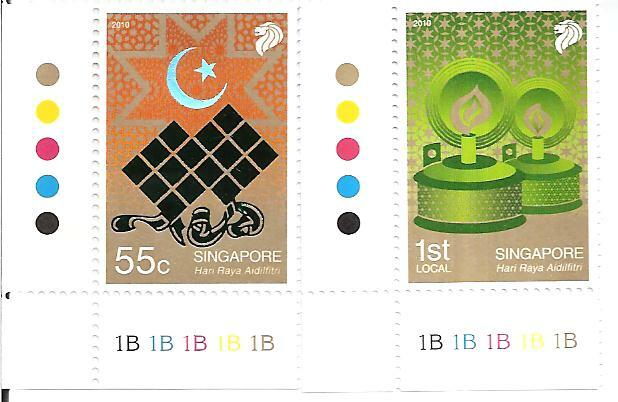 It was issued on June 20th, 2000. A postcard from USA, received through postcrossing while I was away on vacation. I could only register it yesterday, I think it was in the mailbox for almost four months! 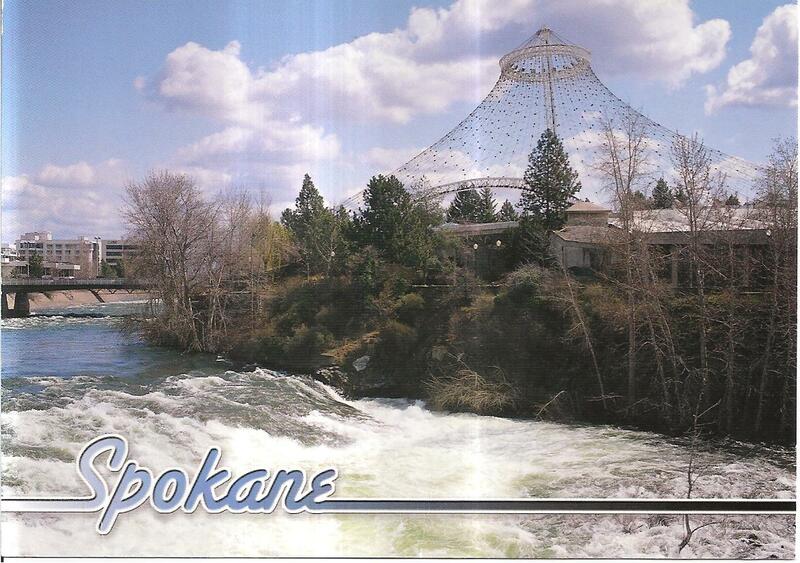 The postcard shows a picture of Spokane River taken at Riverfront Park in Spokane, Washington. The public park was created for World Fair Expo 1974.